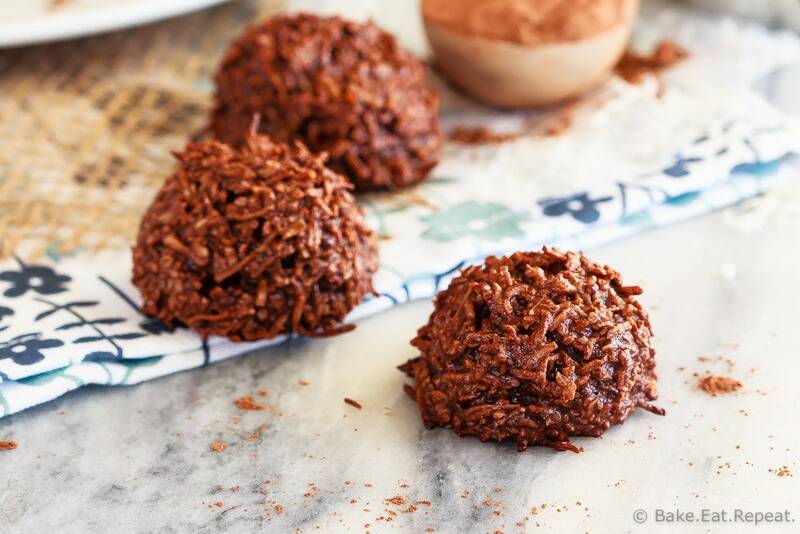 These chocolate coconut macaroons are super fast to make, only have 5 ingredients, and mix up in minutes. Plus, they taste fantastic! 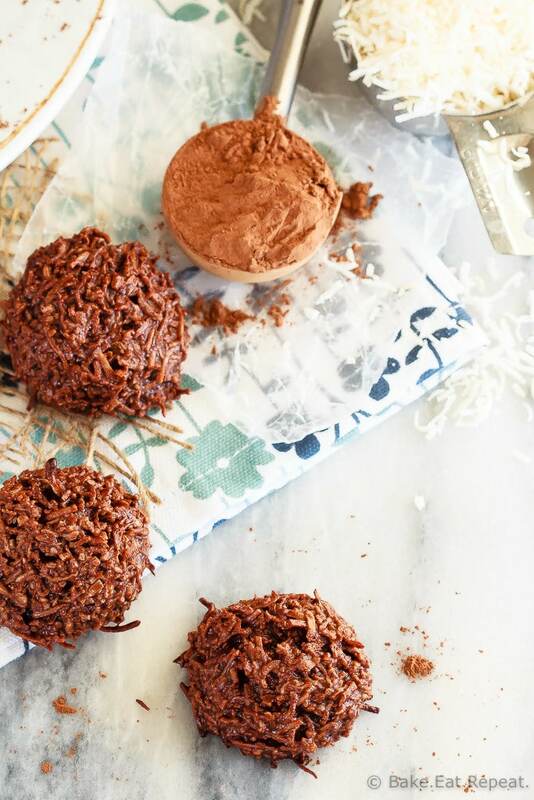 Ever better – chocolate coconut macaroons. The best cookie ever, but with chocolate. Obviously chocolate just makes them better. Chocolate and coconut is one of the best combos, so clearly these cookies needed to make an appearance on my blog at some point. They’ve always been one of my favourite cookies, but oddly enough I’ve never made them before. I honestly don’t know why. Especially now that I have made them. So easy, it’s a little bit ridiculous. These chocolate coconut macaroon cookies literally take about ten minutes to get into the oven, and ten minutes to bake. That’s just twenty minutes to some fantastic cookies. Why haven’t I made these before now?! I sort of feel like I’ve just been wasting my time on macaroon treats like these Bird’s Nest Coconut Macaroons and these Chewy Chocolate Macaroon Granola Bars. I could have been making chocolate coconut macaroons instead. Nah, scratch that. They’re all amazing – coconut macaroons always are. If you like white chocolate that is. I don’t (it’s just not chocolate!) so I didn’t do this – although I will admit that I was tempted just for the prettiness factor. But then I decided that I wanted to eat these chocolate coconut macaroons, so white chocolate really couldn’t be involved. 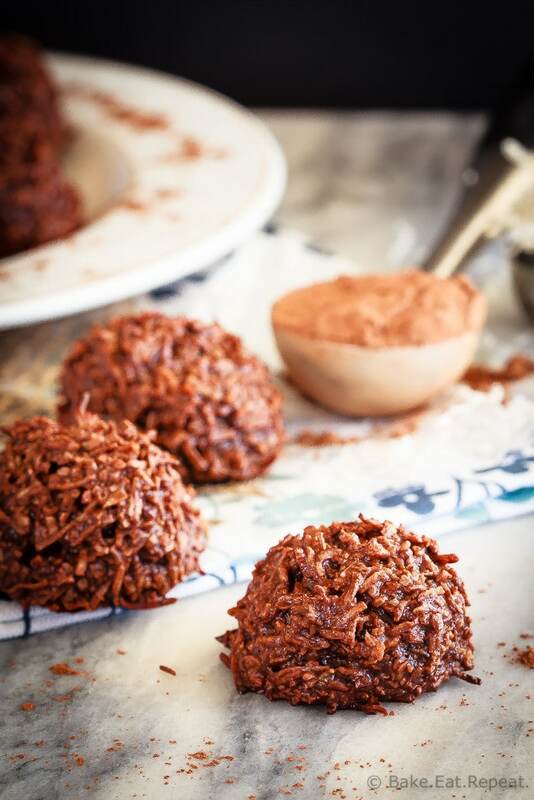 I’ve also shared this Chocolate Coconut Macaroon Recipe over on Food Fanatic.